CHINA READY will have a major presence at the Milan World Expo this year as official partner with the China Corporate United Pavilion (CCUP) – a collaboration between China’s Government and Industry. As part of a push to make Europe CHINA READY®, CCUP and CHINA READY will recognize and promote European tourism product and service providers upon successful completion of CHINA READY Training and Quality Service Certification. CHINA READY will recommend certified businesses direct to Chinese travel agencies and independent travelers. 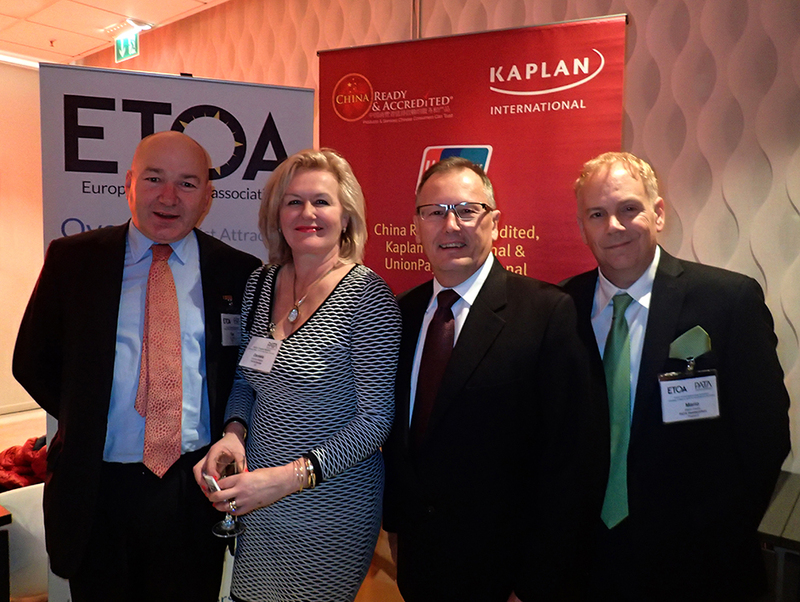 The global expansion of CHINA READY is supported and welcomed by the European Tourism Association (ETOA), the Pacific Asia Travel Association (PATA) and the United Nations World Tourism Organisation (UNWTO), who joined with CHINA READY at a networking cocktail function at the International Tourism Bourse (ITB) in Berlin, Germany. CHINA READY was represented by past Tourism Australia Managing Director Mr. Geoff Buckley – who is now a Director of CHINA READY. Mr. Buckley, more than most, recognizes the need to ‘get it right’ when faced with the sometimes daunting prospect of China’s future growth. “Our challenge is to ensure we better understand this unique culture and therefore better meet their needs as visitors”, continued Mr Jenkins. “The CHINA READY Program® has been established to help our operators achieve this objective and we hope our members will give it their full support“, he stated.